In the premodern and medieval times, swords were the most important weapons in the arsenal of a good soldier or army. The victories of an army were largely dependent on the type of swords they wielded as also on the skills of the soldiers who wielded these swords. A sword is a bladed weapon intended for slashing or thrusting that is longer than a knife or dagger (Wikipedia). The blade of a sword can be straight or curved and often sharpened on both sides. I would think you have seen a sword before, at least in a museum or on a photo. The Samurai warriors of Japan were distinguished for their exploits at warfare because of the distinctiveness of their sword, the Katane. Today’s military arsenals may have very little place for the use of swords with the invention of sophisticated guns and ammunition and warfare largely tilting unto the nuclear weaponry plane. Regardless of these advancements in physical warfare that may have robbed the sword its pride of place in military arsenal, the sword remains a vital weapon in spiritual warfare. This is why we must still consider the sword today, and how well we can use it in our spiritual defense and offensive. What is the use of a blunt sword? It is as good as useless. It can do little or no good in the field of battle since it cannot cut through the thick mass of leather belt or coat worn by the enemy soldier. A blunt sword puts the bearer of it in grave danger of being overpowered and slain by the enemy on the field of battle. Therefore, it was a prominent and regular routine of soldiers to sharpen their swords and ensure that it remains sharpened and battle ready. There was a case reported in Israel where there was a lack of sword manufacturing and sharpening technology and equipment as recorded in 1st Samuel 13:19-22. There were no smiths in Israel to make their swords or sharpen them, hence the Israelites had to journey into the country of the Philistines to sharpen their hoes and farm implements. The Philistines therefore used this opportunity to develop a policy prohibiting the sale of swords to Israelites and the sharpening of any weapons, rendering the Israelite soldiers without swords and if there was any, it would be blunt ones. This made the Israelite soldiers very vulnerable to defeat in battle. 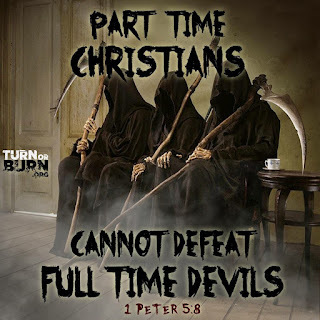 This scenario describes the situation of very many people today who are going up against the enemy of their souls, the Devil and his host of demonic powers, with no sword in hand. Some others are armed with nothing but rusty blunt swords! The huge spiritual casualty today is largely attributable to the inability of people to take on the enemy with the sword of the spirit. 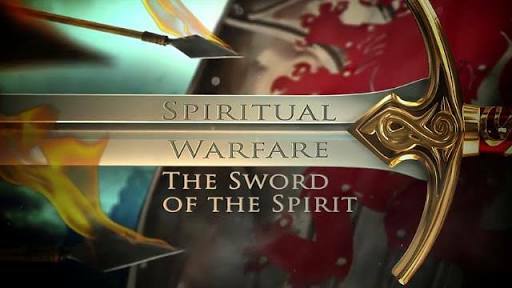 What is the sword of the spirit? 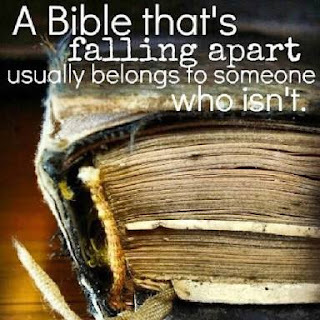 It is the word of God as Ephesians 6:17 reveals. 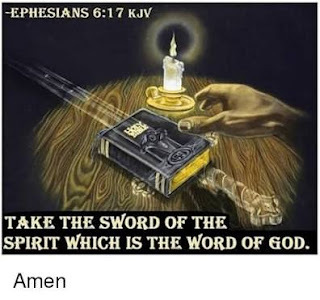 When we speak the word of God in any given situation, we are invariably drawing our sword in the realm of the spirit to engage in battle with the host of Satanic forces. This is what 2 Corinthians 10:3-6 tells us: “For though we walk in the flesh(in the physical), we do not war according to the flesh( by physical techniques or weaponry). For the weapons of our warfare are not carnal(man-made) but mighty in God for pulling down strongholds, casting down arguments and every high thing that exalts itself against the knowledge of God, bringing all thoughts into captivity to the obedience of Christ, and being ready to punish all disobedience when your obedience is fulfilled”. Friends, there is a contention in the heavenly realms, the world of spirits, invisible to our physical eyes but nonetheless real. The enemy forces are out to kill, steal and destroy lives (John 10:10), and this explains why we so often experience those unexplainable sufferings in life. In Ephesians, 6:11-13, God tells us through Apostle Paul to “Put on the whole armour of God, that you may be able to stand against the wiles of the devil. For we do not wrestle against flesh and blood (Physical enemies), but against principalities, against powers, against the rulers of darkness of this age, against spiritual hosts of wickedness in the heavenly places. 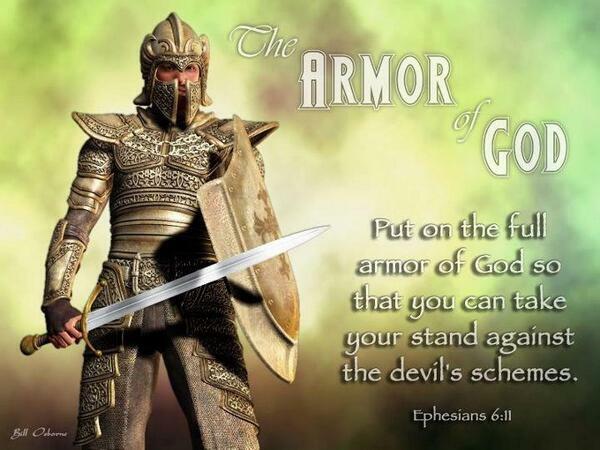 Therefore take up the whole armour of God, that you may be able to withstand in the evil day and having done all, to stand”. These verses explain the source of troubles in this world. The physical realities are only a manifestation of the outcomes of the engagements in the spiritual realm. The average human being is no match for these spiritual enemies since he or she is oblivious of the transactions taking place in the realm of the spirit. 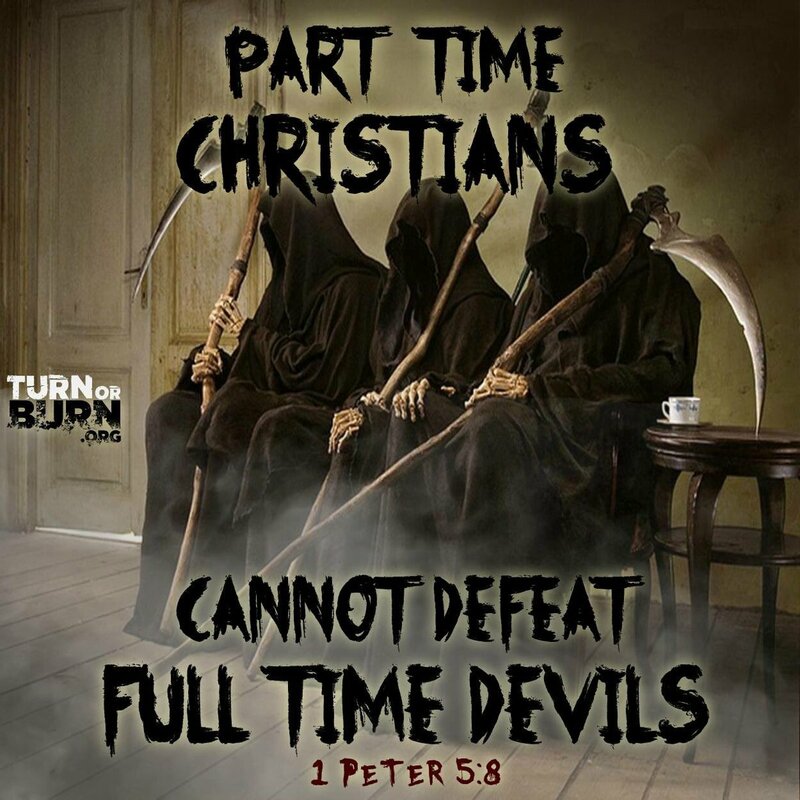 The normal, ordinary human is in a state of “spiritual deadness”, and so he or she is best compared to a puppet in the field of spiritual warfare with no weapons for defense or offensive. The situation only changes when we become Christians and are made spiritually alive and equipped. It is still a puzzle why the disease burden is so great in our societies despite the great advancements in medical technology. Why are so many diseases still incurable today? Why are homes and marriages falling apart by disagreements and disaffection when just a few months back, the husbands and wives were inseparable as they courted each other and married? 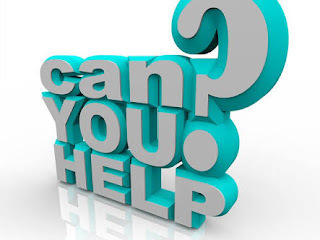 Why do people get involved in so many tragic situations and setbacks despite all their qualifications for success? Why are so many people traumatized and what could make kids take hold of guns and go on a shooting spree of their classmates and teachers in school? These and so many more questions reveal that there are puzzles that cannot be resolved by physical means. It is obvious that we must fight in this spiritual warfare or be conquered. 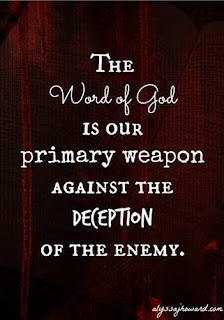 One of our greatest weapon for victory in this warfare is the sword of the spirit, the word of God. 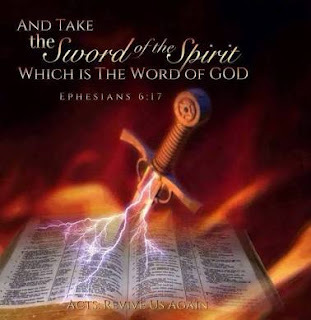 We must take up the sword of the spirit by reading, hearing, believing, meditating on and confessing the word of God. This is why the Holy Bible which contains the word of God must be one of our most valuable possession. 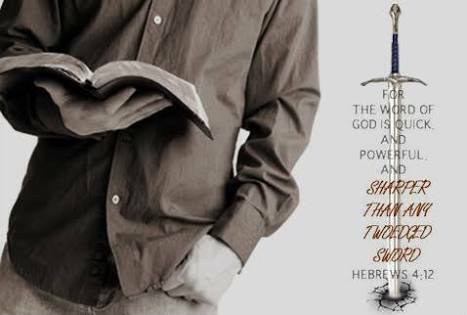 God’s word is quick, powerful and sharp, and the enemy has no chance when we use it. He is completely disarmed and defeated when we lay claim to God’s word, believing and living in obedience to it. In the record made available to us in Matthew chapter 3 of the temptation of Jesus Christ by Satan, we see that our Lord Jesus Christ gained victory over the enemy by referencing the word of God to counter the words Satan spoke. We notice how Jesus Christ responded on all occasion, “It is written…”, making reference to what God has said and standing on its authority. A story is told of how Evangelist Reinhard Bonnke gained confidence to exercise the authority of God’s word for miracles and transformation of lives in his many crusades around the world. He had his breakthrough in ministry when he heard God say to him, “My word in your mouth is as powerful as when I speak it.” Thus, he began to proclaim God’s word for salvation, healing, deliverance and setting free the captives of the devil with great results. You also have to begin to use God’s word in all situations you come across, so that you can have a positive turn around. When the symptoms of sickness begin to manifest in your body, you must rebuke it by the word of God. Isaiah 53:5 tells us we are healed by the stripes our Lord Jesus Christ was beaten, therefore you have to stand on the authority of this word to receive your healing. No matter the situation of your life today, you must discover what God says about it in the Bible, lay claim to God’s word by believing it to work for you, proclaim it over your situation and see the situation turn around for a testimony of God’s power. When you make a practice of reading your Bible daily, you will discover that you have God’s word for victory over every situation. This is how to keep your sword of the spirit sharp and powerful. The sword of the spirit can become dull, rusty and blunt when we no longer read and study our Bibles to discover God’s word and use it. Can you imagine what the case is when we are faced with a situation we have no word of God to stand on and exercise spiritual authority? What of those situations we quote God’s word out of context because we never took the time to read, study and understand it, and rightly apply it? It is in these cases we find ourselves using blunt swords. Many Christians may only know the words of their pastor, but it just happens that they cannot successfully quote their pastors word and gain victory in spiritual warfare, except those words of the pastor are directly God’s word. An example can be seen in the case of the seven sons of Sceva who went to cast out a demon out of a man by making reference to the words of Apostle Paul (Acts 19:13-16). They were unsuccessful in their bid to cast out the demon, instead they were overpowered by the demonic forces and put to flight. Theirs was nothing but a blunt sword! The sword of the spirit becomes blunt when a Christian indulges again in sinful living. He is robbed of the authority that should occasion his proclamation of God’s word. 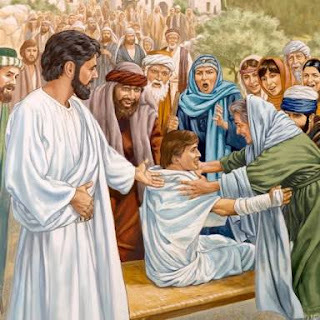 This was the case when the Accuser, Satan the devil, stood at the right hand side of Joshua the High Priest, to accuse him of his sins (Zechariah 3:1-4). For as long as Joshua was clothed with that garment stained by sins, he could not exercise the authority of the word of God. Sin makes the sword of the spirit blunt just as a continual rubbing of a sharp blade on sand makes it blunt. It is time to examine the ways by which our sword of the spirit has lost its sharpness and power. If we discover that God’s word in our mouth is no longer as powerful as when He speaks it, then it must be that our sword of the spirit has become blunt. Let us address it by getting right with God, confessing and forsaking all sins and getting back to our study of the Bible and exercising faith in God’s word. This is what the Apostle Paul was inspired by the Holy Spirit to speak about when he admonished us in his second letter to Timothy. He says, “Study(the word of God) to show yourself approved unto God, a workman(also a soldier) that does not need to be ashamed, rightly dividing(or applying) the word of truth” (2 Timothy 2:15). 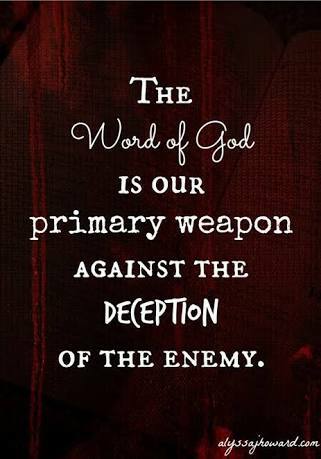 A daily and regular reading and study of the word of God is your way of sharpening your sword of the spirit. Also, reading books written by inspired men and women of God who exposit the word of God, will also sharpen your sword of the spirit, making you gain victory over the wiles of the enemy, for we will thereby not be ignorant of his devices. One of the strategy of the enemy is to keep people from having access to the sword of the spirit, just as the Philistines ensured that the Israelites had no swords to fight them in battle. 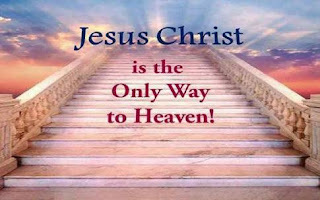 Friend, if you are not born again (John 3:3), then you have no sword of the spirit to use. 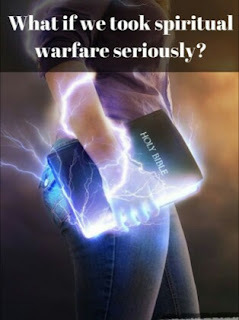 It is probable you are a church man or woman or you follow some form of religion, but if you have not surrendered your life to Jesus Christ by confessing and forsaking your sins and living your life under the authority of Jesus Christ as your Lord, then you have no sword to defend yourself in the realms of the spirit. You are indeed no match for the enemy no matter your level of education, wealth or physical abilities, and this why the enemy can torment you at will. Today you have the opportunity to come out of spiritual deadness unto abundant life in Christ. Pray to God now asking Him to forgive your sins and grant you eternal life. Make a commitment to live in obedience to His word for the rest of your life. 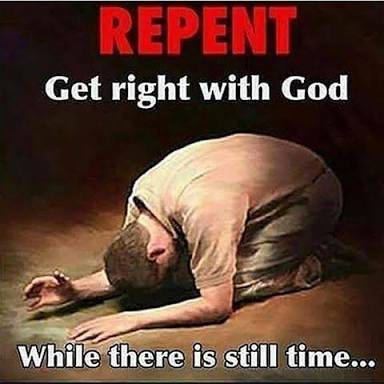 If you do this, you will be saved, made spiritually alive and armed with the Sword of the Spirit. Will you turn to Christ now? Pray in this manner: “Dear God, I know I am a sinner, and I ask for your forgiveness. I believe Jesus Christ is Your Son. I believe that He died for my sin and that you raised Him to life. I want to trust Him as my Saviour and follow Him as Lord from this day forward. Guide my life and help me to do your will. I pray this in the name of Jesus Christ. Amen”. If you just said this prayer with the whole of your heart, then be assured God has heard and saved you. You now need to seek out a Church around you where you will get to know God more and live the new life you have received. Finally, as you take up your sharp sword of the spirit, also ensure to take up all other components of the armour of God as highlighted in Ephesians 6:13-18. You are to continually wear your helmet of salvation, being careful to avoid backsliding and going back to your old sinful way of living. Put on the belt of truth by living a life of sincerity and integrity. Always have your heart guarded with the breastplate of righteousness, avoiding all forms of unrighteousness in thoughts and deeds. let your feet be protected with the shoes of the gospel of peace as you share with people everywhere the good news of salvation through Jesus Christ. 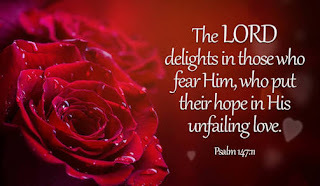 Take the shield of faith and stop all fiery darts of fear and doubts the devil hurls at you. Be prayerful and always fellowship with God in your heart, and also with other brothers and sisters in Christ and you are sure to get the victory. May God bless you, equip you and make you a victor in the spirit realm. Amen. [👋🙋💃 Hi! Don't understand English? You can read this page in French, Spanish, Russian, etc..Go to Home. Click Menu. Click Translate and choose your language. 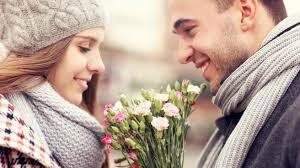 Have a great read!]. [👋🙋💃 Привет! 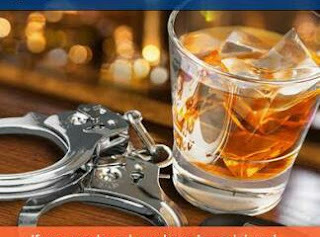 Не понимаю по-английски ? Вы можете прочитать эту страницу на французском , испанском , русском , и т.д. ..Go к дому . Нажмите Меню . Нажмите Перевести и выберите язык . Приятного чтения!]. [👋🙋💃 Hola! No entiendo Inglés ? Usted puede leer esta página en francés , español, ruso , etc ..Go a Inicio . Haga clic en Menú. Haga clic en Traducir y elija su idioma .Tener una gran lectura! ].